Andaman Cruises is a traditional participant at PIMEX. 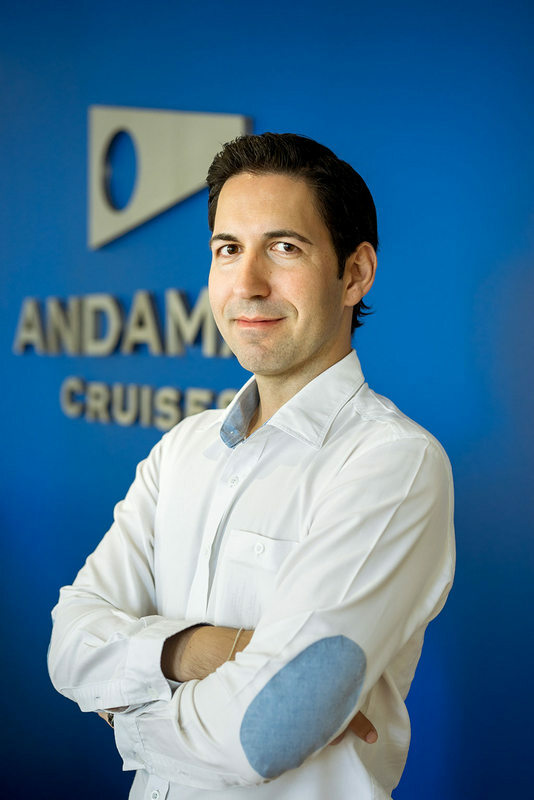 Prior to the show we set down with the company's general manager Christian Schwind to talk about Andaman cruising grounds. Andaman Cruises is a well-know brand and enjoys a high reputation in the region. Tell us more about your company. Today, people of all nationalities come from afar to enjoy the peaceful and pristine waters of Phuket and beyond. Andaman Cruises mainly caters to the jet set crowd and operates more than 500 private charters every season. Due to the top standard of the yachts as well as the superb crew onboard our services are highly appreciated by international stars such as Beyoncé and Jay-Z, football player Cristiano Ronaldo, model Heidi Klum, the Princess of Morocco and Prince of Saudi Arabia. We also host corporate events and yacht incentives onboard. Among our clients are BMW, Medtronic and Panasonic to name but a few. We are one of the pioneers in the luxury yacht charter business and we have been in long-term partnership with most of the high end properties in the region. Please tell us about your background, what was the reason for moving to Phuket? I was born in Berlin and raised in Germany. Before moving to Thailand in 2011, I worked at the Russian state-owned energy giant Gazprom as Senior Manager Marketing & PR. I was in charge of Corporate Communications including PR, Lobbying, Governmental Relations and Crisis Management. Finally I have been working in the marketing industry for almost 17 years including positions at Audi/VW, Universal Music and a German Investment Bank. Phuket caught my attention in 2008 when I was here on vacation the first time. I really enjoyed the mixture of culture, natural sites, culinary and great hospitality. Moreover Phuket is a good hub to travel around South East Asia, especially to Kuala Lumpur, Singapore and Hong Kong. After organizing the World Gas Conference in KL in 2012 and setting up the Asian headquarters of Gazprom in Singapore, I took over Andaman Cruises as General Manager in 2013. What makes Thailand so special in your eyes? 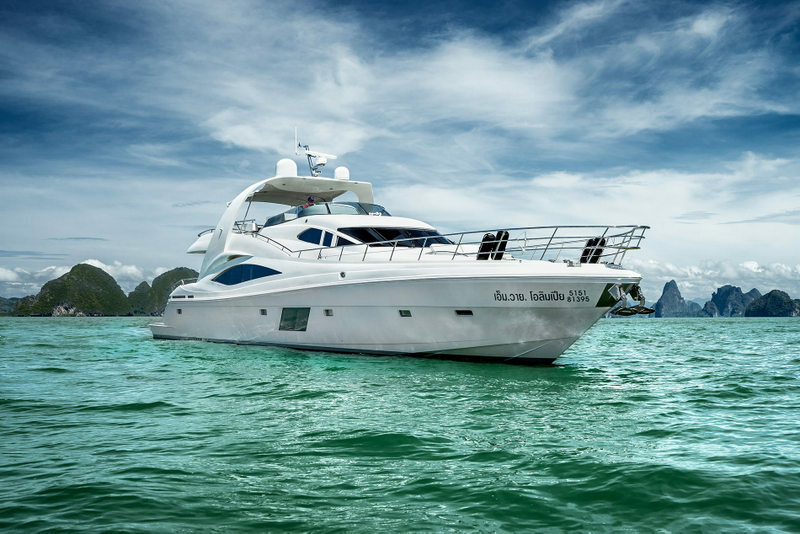 The Andaman Sea and its maritime national parks are renowned as some of the most beautiful yachting grounds in the world with breathtaking scenery of limestone rocks, white sand beaches and crystal clear waters. Guests are able to discover unique destinations and unspoiled spots, and a luxury charter with Andaman Cruises is the most exclusive and most personalized way to do that. What types of yachts do you offer? Our fleet of ten vessels includes fascinating yachts offering all the benefits and facilities of a floating villa - luxury, comfort, privacy and exceptional service. A floating masterpiece is the exceptional 135-foot Ocean Emerald, combining luxury, contemporary design and cruising perfection for the ultimate cruising experience. The tri-deck super yacht accommodates a total of 50 guests for a day cruise and sleeps 12 guests. Guests can enjoy a dip in the upper deck jacuzzi or chill out with a refreshing cocktail on one of the comfortable sun loungers. Why should people go on a cruise with you? Because yachting is not just about the boat - it is especially about the scenery and unique experience. 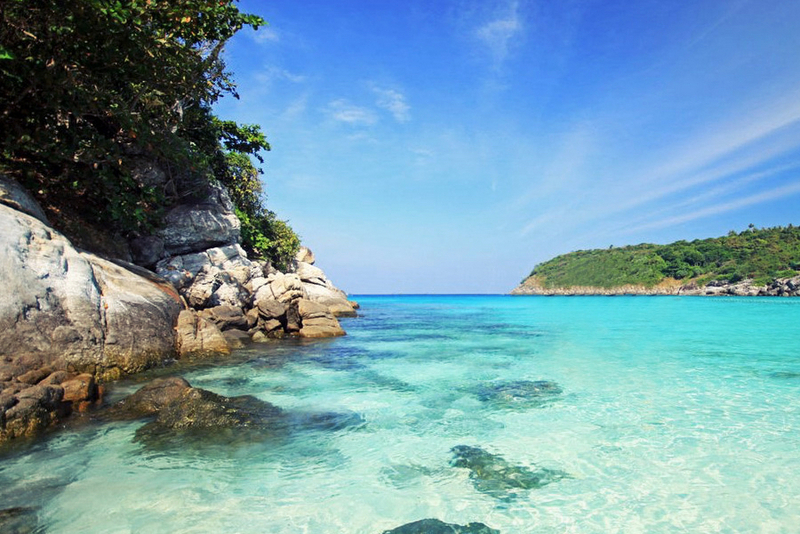 And Phuket boasts some of the world’s most breathtaking maritime views. The Andaman Sea including Phang Nga Bay, Krabi and Phi Phi Island has a huge diversity and offers a range of activities from kayaking, to diving and snorkelling. 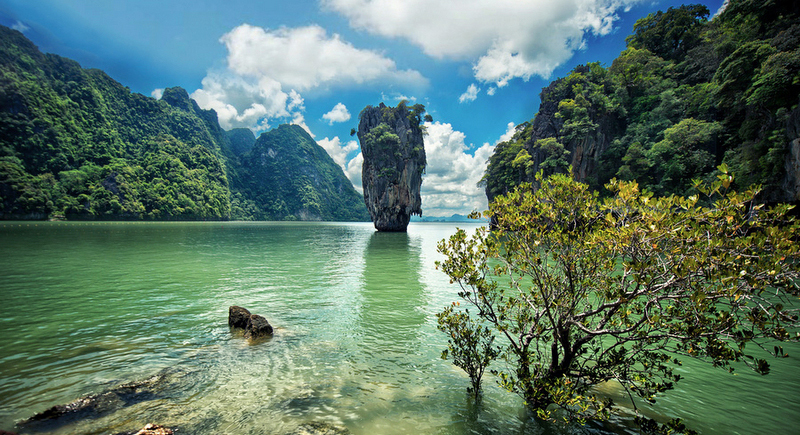 Just northeast of Phuket, Phang Nga Bay offers more than 100 islands with gently sloping hills, and sheer limestone mountains that rise vertically out of the water to stunning heights. Further attractions to be explored by kayak or tender are a floating Sea Gypsy village, mangrove channels and caves. 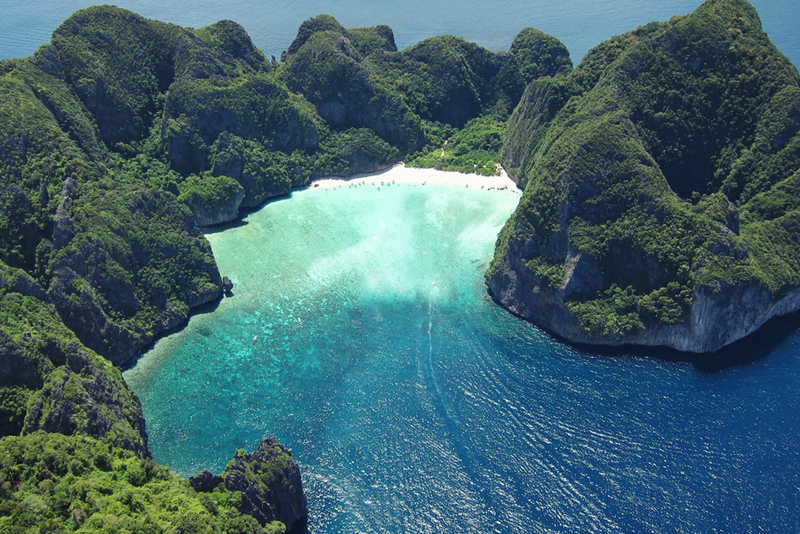 Another enchanting beautiful island group just south of Phuket is Phi Phi Island. Spectacular vertical cliffs rising from clear seas, beautiful lagoons enclosed by rock walls and idyllic tropical beaches have rightly made these islands amongst the most famous in the world. The Phuket International Boat Show, better known as PIMEX, is proudly sponsored by The Phuket News, Live89.5, Phuket News TV, Novosti Phuketa, Puji Dao Xinwen and our brand-new Thai-language newspaper Khao Phuket, bringing you the best selection of news, lifestyle and sports stories in English, Russian and Chinese.